Recently the most awaited trailer of Salman Khan and Boby Deol starring film Race 3 has released and in this trailer how much Salman is looking amazing the same his co-star Bobby Deol is giving tough competition to him. We got to see many glimpses of Bobby Deol in action avatar. With this now it is clear that Bobby Deol is going to be seen in a different avatar in new Bollywood films. Bobby worked hard on his body for this film. Even there is a scene what we got to see in the trailer where both the leading stars Salman Khan and Bobby Deol can be seen shirtless. It is even being told that Bobby himself done several stunts while shooting the film. Bobby in very rare chances in his career have seen shirtless but in Race 3 he even has beaten our shirtless king Salman Khan. 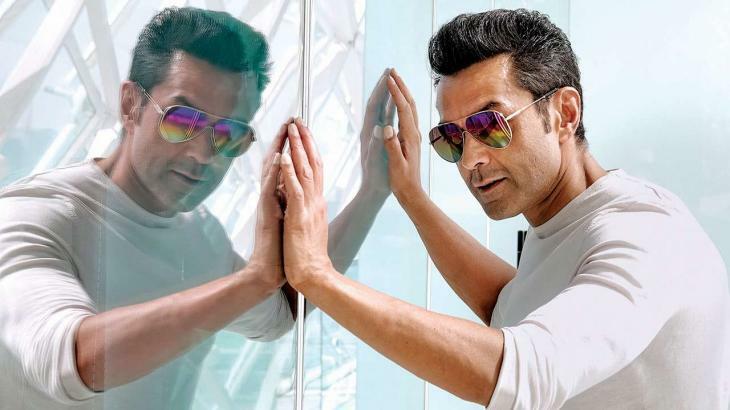 Bobby Deol gave the whole credit of this transformation to Salman Khan and says that he comes in his life like an angel. It was told that not only Salman offered this film to Bobby Deol but also did his makeover for the film several times. Now with this makeover, Bobby Deol's look has totally changed from what he had to what he is now. Bobby Deol who counted as one of the superhit actors of 90s didn't get films after he gave some flop films in recent past. Well, from now onwards it looks like that Bobby Deol has got chance to revive his career. The film Race 3 is releasing on 15th June 2018 on the special occasion of Eid and it is like Salmania for the Bajrangi Bhaijaan actor.